Truck Accident Personal Injury Lawyers in La Cañada Flintridge, California Experienced Truck Accident & Wrongful Death Accident Injury Attorneys You Can Trust! Percentage of drivers aged 70-or-older talking regularly on a hand-held cell while driving was 7.7 percent. Percentage of drivers aged 25 to 34-year-old talking regularly on a hand-held cell while driving was 31.1 percent. La Canada Flintridge truck, car and motorcycle accidents can be devastating. Debilitating injuries. Loss of a truck or other vehicle. Property damage, rental cars and loss if use. Diminution in value of your truck or car post repair. Loss of earnings and income, including in the future. And, of course, hospital and other medical bills. These real problems face the unfortunate victims of truck accidents and their families with wrongful death accident claims. Fortunately for you, this is our area of law for over 40 years. If you have been a victim of a tragic truck accident, a car accident or need assistance in a personal injury claim or wrongful death claim in La Cañada Flintridge or anywhere else in Los Angeles or California, contact whom many consider the best personal injury lawyers and legal team now for a completely FREE & CONFIDENTIAL CONSULTATION. Our truck accident attorneys and law offices provide expert personal injury & wrongful death legal services for those injured not just in truck accidents but in car, automobile, motorcycle, bicycle, pedestrian, uninsured motorist (UM) and other types of accidents as well. 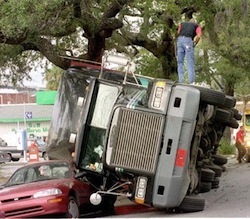 Please visit our Truck Injury Accident Web Site to learn more about the truck accident injury claims process. And for more specific information about your claim, and the many time rules and insurance procedures with which one must comply, please call us now at 818-222-3400 or 1.866 INJURY 2 (after hours, press “1”) for a completely FREE and confidential case consultation and case evaluation. The consultation is absolutely FREE and with our injury lawyers there is NO fee until you win! Located in Los Angeles County, California, La Cañada Flintridge is a small city with a population of 20,318 people, according to the 2010 U.S. Census. 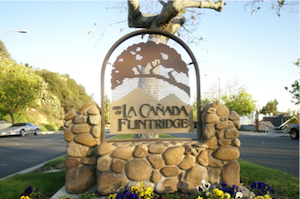 In 2010, Forbes ranked La Canada Flintridge, California at 143, for being the most expensive U.S city to live in, with an average home price of $1,321,367. It is home to NASA’s Jet Propulsion Laboratory (JPL), the center for robotic exploration of the solar system. Pasadena, Glendale, Burbank and Altadena border La Cañada Flintridge. Our experienced, successful and aggressive truck accident personal injury & wrongful death lawyers offer a proven track record over 40 years of handling of your truck, car, motorcycle or any other automobile related personal injury claims. Our accident claim legal services are not limited to such truck and car related personal injuries, but extend to dog bites and animal attack cases, premise liability accidents, pedestrian accidents, uninsured motorist (UM) and underinsured motorist (UIM) claims, and more. We offer over 40 years of experience in successful handling of countless truck accident, car accident personal injury or other personal injury claims and wrongful death cases in La Canada Flintridge, Los Angeles and throughout California. We even provide immediate help with medical care, specialists, property damage repair and settlement, loan cars, monetary advances, medications, prescriptions, etc. We are proud to have received the title of Personal Injury Attorney of Years 2010 and 2014 & Personal Injury Law Firm of Years 2011 and 2014; and selected to “Top Attorneys” in California. Call us at 818-222-3400 or on our Toll-Free number - 866 INJURY 2 or 866-465-8792 (after hours, please press 1). We work on a contingency fee basis: NO Fee on accident injury claims and FREE CONSULTATION! FREE CONUSLTATION – CONFIDENTIAL CASE EVALUATION - NO FEE UNTIL YOU WIN!